MSD Warren Township Schools present STEAM Night! 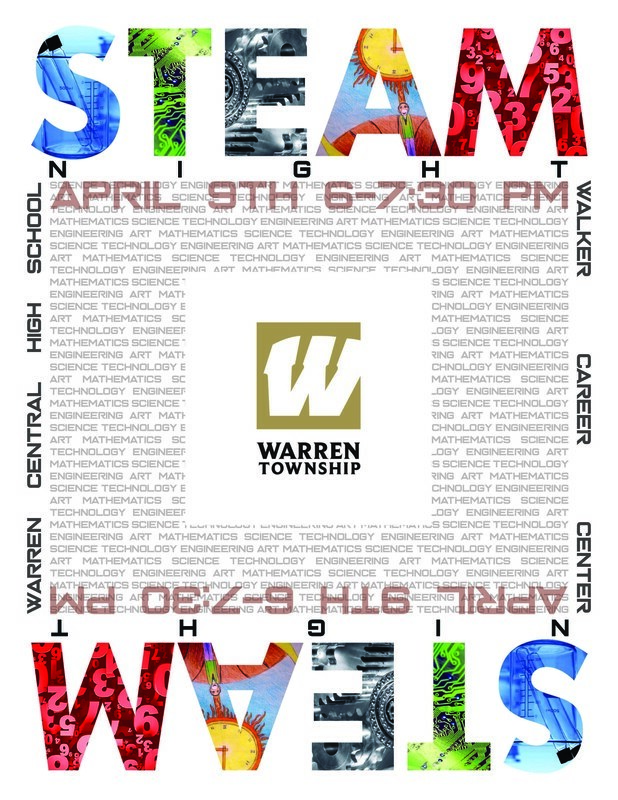 Mark your calendars and plan to join us on April 9th from 6:00 - 7:30 p.m. at Warren Central High School / Walker Career Center. There will be information, activities and performances you won't want to miss! We hope to see our Warren families and community there!